Yamamoto was born in Kurashiki, Japan in 1964. His favorite film is Youngblood, and his personal hobby is collecting guitars. 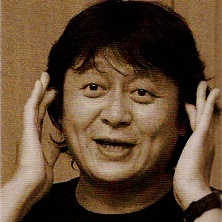 After graduating from the Osaka University of Arts, he officially joined Nintendo in 1987, initially working as a Sound Composer for the Research & Development 2 Division. His initial prize work was the composing the soundtrack to Mike Tyson's Punch-Out! !